Hello, My name is David Slone. 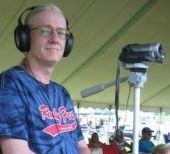 I specialize in building and maintaining websites for bluegrass artists, festivals and venues. Whether you need an informational site, an online store, or even a hobby website I can help you to establish an online presence. If you have any questions about your website needs contact me. I take both pride and love in every website I work with. I want you to be happy with it and will do my best to achieve that. Personalized Service And Attention To Achieve The Website You Need ! Contact me today to discuss your website needs. I will work with you to achieve the website you need. Having your own website can be easy, affordable and enjoyable. How About A Facebook Fan Page For Your Band, Brand Or Business? I provide a well maintained Facebook fan page to create events and share videos, promotional posters, etc. Whether you have an existing page or need a new one created I can take care of it for you. I have created numerous Facebook fan pages including: Rudy Fest, Poppy Mountain, Clarence Kelly, Custom Made Bluegrass, Lanny Franklin, Carter County Shrine Club, Tony Pence, Years of Farming, Foggy Valley Farm Bluegrass Festival, Stidham Old Time Music Gathering, and others. I strive to share, promote and to increase the fan base.